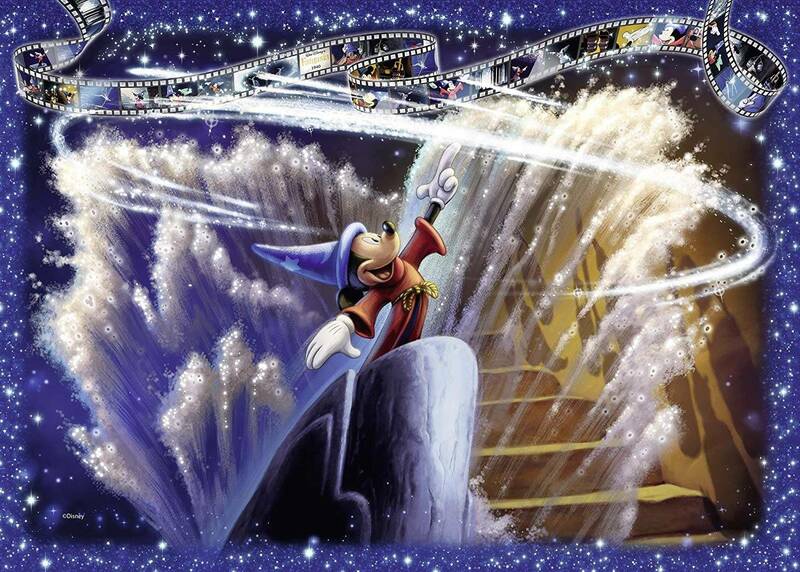 Mickey Mouse takes on the role of the Sorcerer's apprentice in this scene taken from the 1940 animated film. 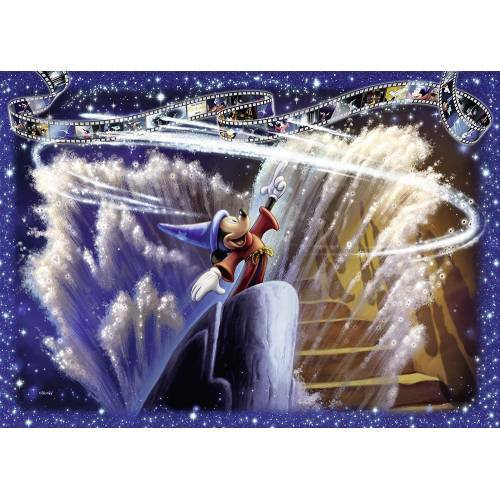 The Sorcerer's apprentice (by dukas) is just one of the great classical works of music that form the basis of this ground-breaking and memorable movie. Other scenes from the film are contained within the section of "movie reel" featured at the top of the design. 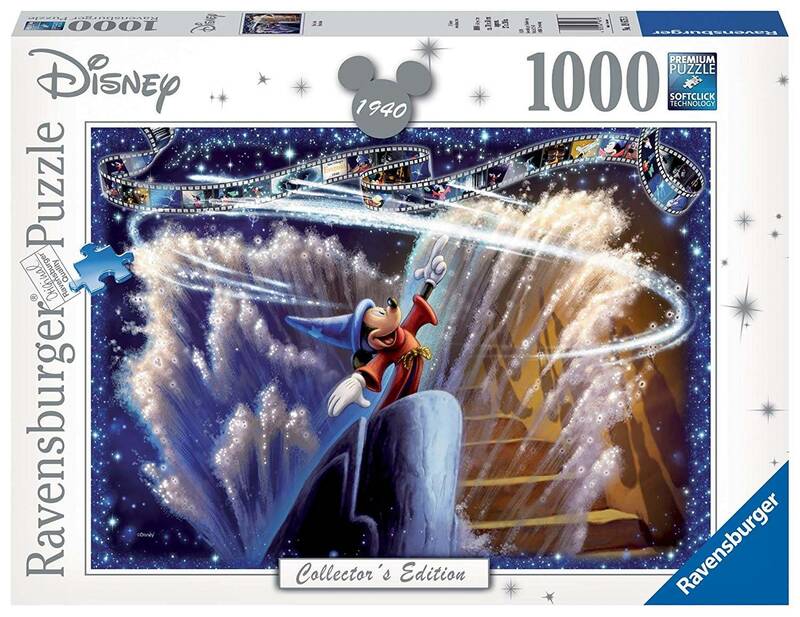 This is part of a series of 5 collector's edition puzzles based on classic Disney films. More titles are due for release in 2018. High quality 1000 piece cardboard jigsaw puzzle. The finished puzzle measures 70 x 50cm when complete. Suitable for ages 12 years and up. Made from strong premium grade cardboard, with linen finish print to minimise glare on puzzle image. 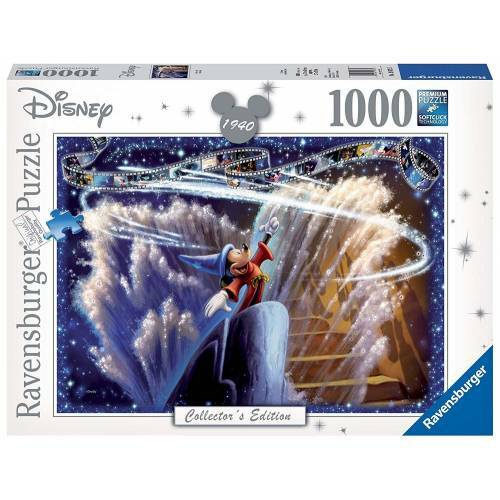 At Ravens burger we have over 100 years’ worth of experience in the manufacture of puzzles. Not only do we make the best selection of puzzles, we also pride ourselves on having the highest quality. Individual pieces are stamped with such precision that a quiet "click" can be heard when one piece is inserted in the other - this phenomenon is so unique that we have given it its own name ‘soft click technology.’ our puzzles are made using unique punching templates and punching tools, which are hand-crafted with watchmaker precision to ensure the greatest possible accuracy and variety of the puzzle pieces.